BMW 635D Sport, Convertible, Diesel / Auto. This is an absolutely stunning car, the performance is exceptional offering 281 BHP, it returns 39.2 MPG and most importantly is in fantastic condition. Not only is this car a status car but it is practical and perfect for commuters, the fuel economy is good, has an auto gearbox and has in built sat nav and bluetooth for convenience on longer journeys and making / receiving calls legally. This car is a real head turned, it is powerful, looks slick in black with the privacy glass and has more features than anyone needs. This car stands out with the Red leather interior and carpets, it is a great combination with the black exterior. 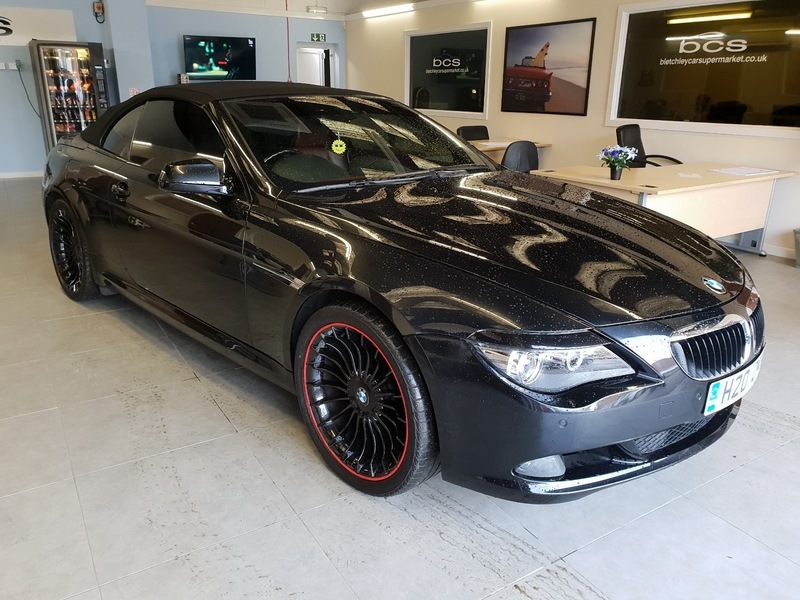 This car has a huge spec that includes red leather seats, sat nav, parking sensors, climate control, bluetooth, cruise control, daytime running lights, MP3, rain sensor wipers, Xenon headlights and steering wheel controls. This car drives really well and is a genuine joy to be inside, the roof folds down with no issues, the gearbox is smooth and the engine runs perfectly. This car is exceptional, the leather is in really nice condition, the bodywork is great, it stands out, the drive is brilliant and it comes with 6 months warranty and 12 months AA cover.